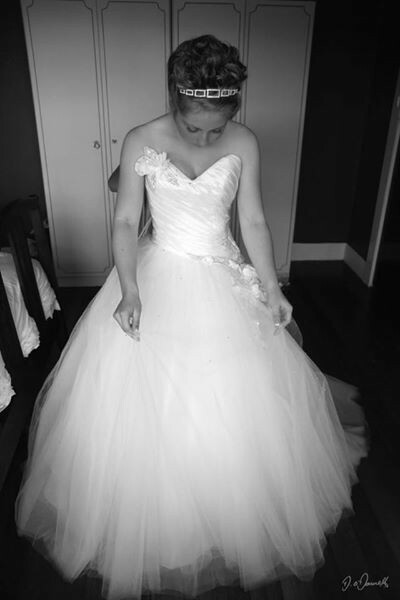 Satin and Tulle Princess Style Wedding dress. Hand beaded Satin flowers and petals that continue throughout the train. Has fully boned bodice and built in net petticoats. Lace up back and skirt zip closure. Has been dry cleaned and is in new condition, no rips. tears etc. Once you send a message, Betti-Elle can invite you to purchase the dress.